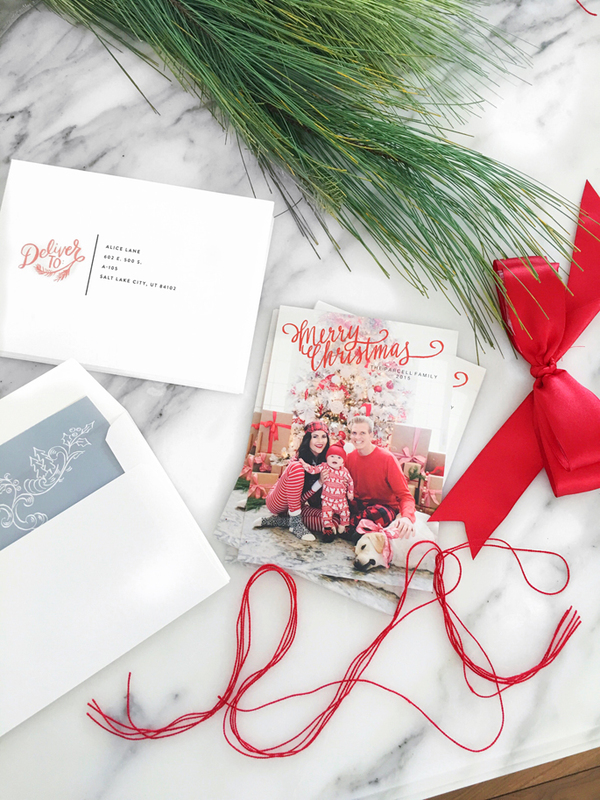 I’m so excited to share with you our Christmas card that Minted created for us! I love how all the photos turned out, I mean Isla’s little face gets me every time! 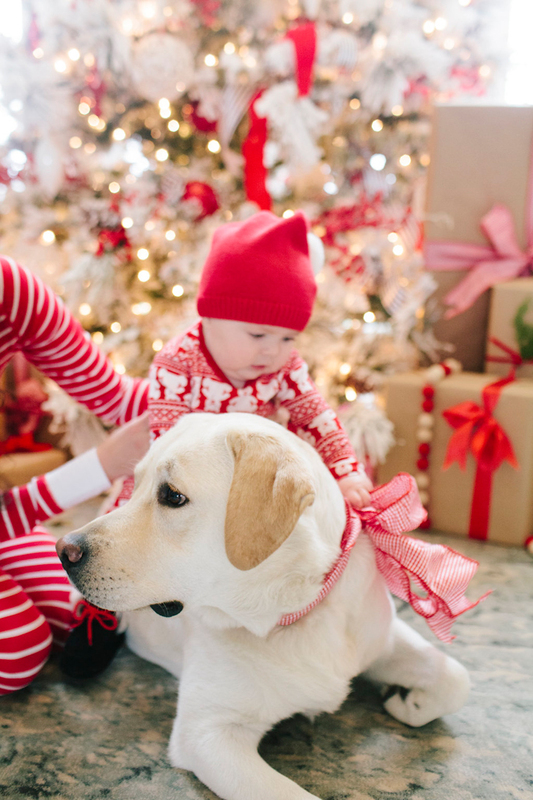 Wishing you all a very merry Christmas surrounded by the ones you love most! 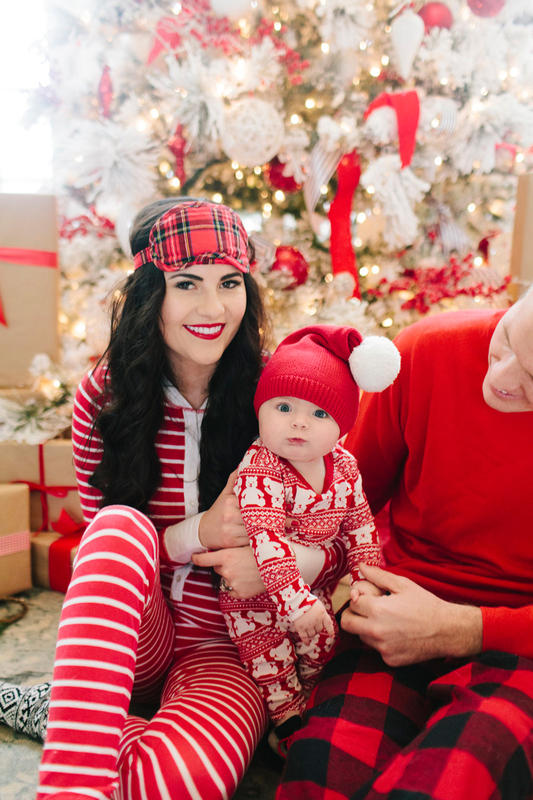 Beautiful family :) Thanks for sharing Rachel and Merry Christmas! This is the meaning of Christmas! Happy Holidays!!! Isla is adorable! Great card. Adorable! I love the pj theme! This is adorable! 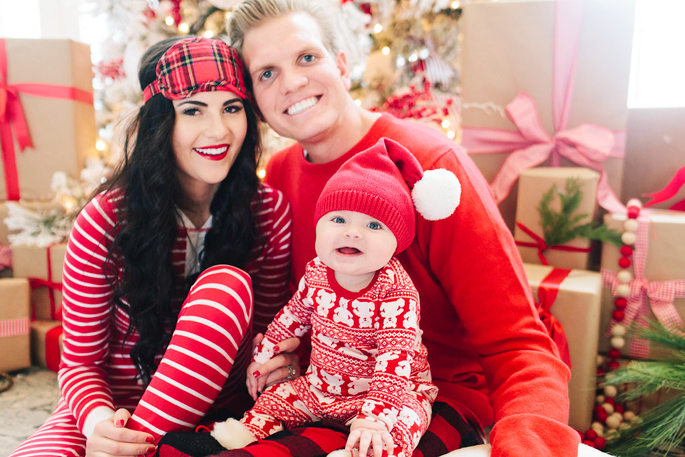 Such cute christmas card photos! Very cute post! Isla is Drew’s mini me!! 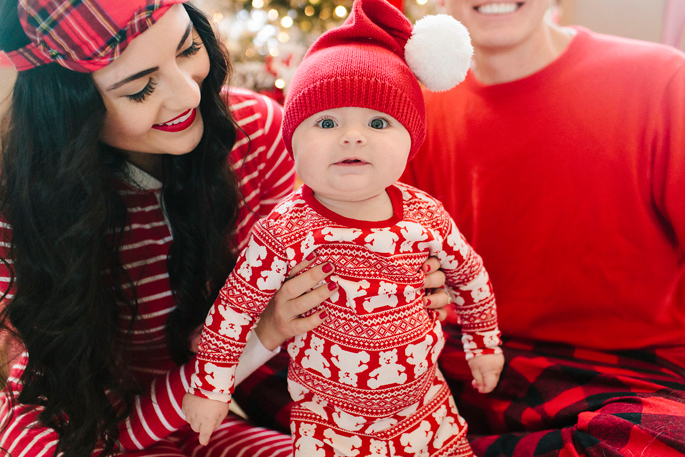 You all look adorable in your Christmas jammies! Loving Isla’s booties! What a beautiful Christmas card. You all look great. Merry Christmas to you and your family! You look gorgeous and that christmas card is so beatiful. Adorable family photo! Islas little hat is too cute! These pictures are all so cute! I love your pajamas! Beautiful photos! I’m also so in love with white Christmas trees this year, they remind me of the snow I miss by moving out to California! Such a wonderful phtotshoot and card! Isla Rose is getting so beautiful just like her mama!! Happy Holidays! Such a beautiful and heartwarming family photos!! Love the vibe! Lovely card! I wish you a merry Christmas! SO SO SO ADORABLE! you guys are the cutest!! What a lovely family ! I wish you the best for 2016 ! Very cute family photos! Happy holidays! ? these pictures areee soo danm cuteee!!! 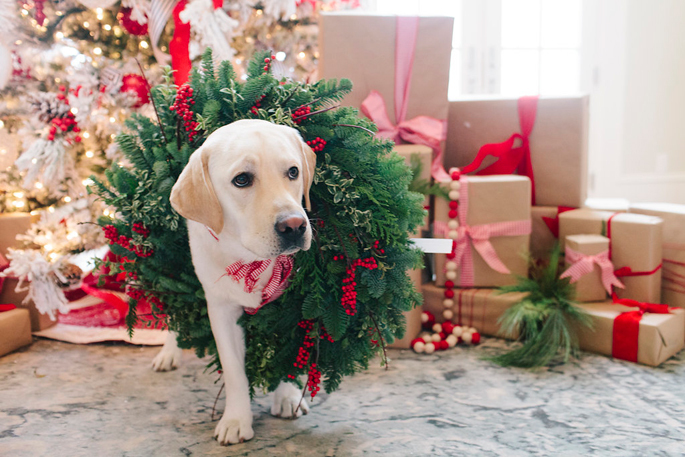 Your tree looks AMAZING too – how did you find one so big and still manage to decorate it so perfectly?? Your Christmas card is always the best!!! Oh my gosh!!! Simply the cutest!! I love your christmas cards! Soo adorable! Merry Christmas Eve! Such cute photos, Rach! I love the cozy, festive feel of the card; very unique! I wish you and your beautiful family a very Merry Christmas; may it be filled with lots of love, peace and joy! Adorable! Hope you all have a wonderful holiday. I love how homey these pictures are! Your pjs are adorable and Isla looks SO sweet! I’m loving her gorgeous blue eyes!!! These photos are too precious! Happy holidays! Merry Christmas to you and yours! 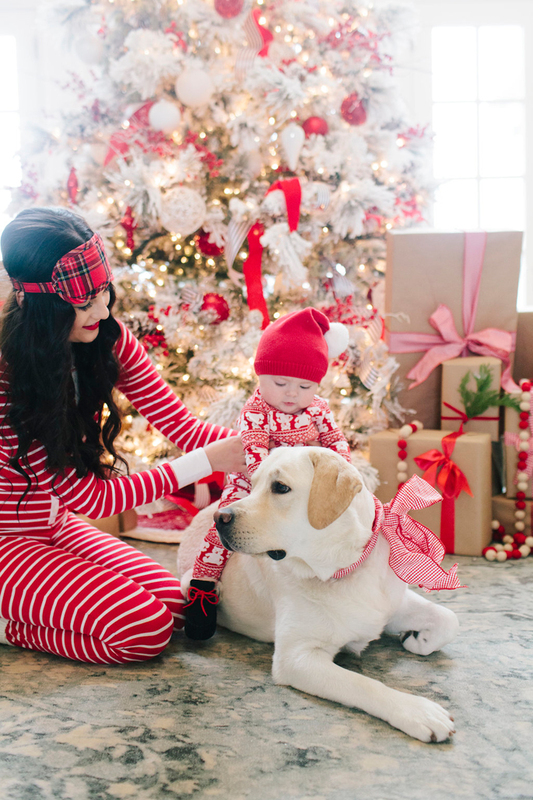 Love this shoot, it’s so festive! 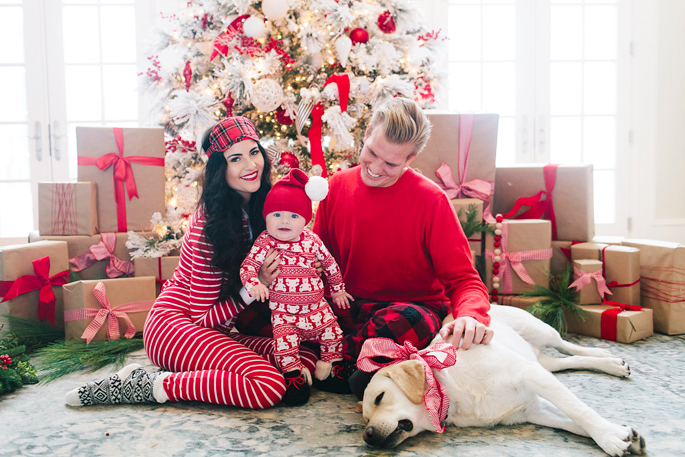 Such an adorable Christmas photo! I am so in love with the pjs! And how adorable is Isla! What a beautiful family card and pics!!! What a gorgeous family! 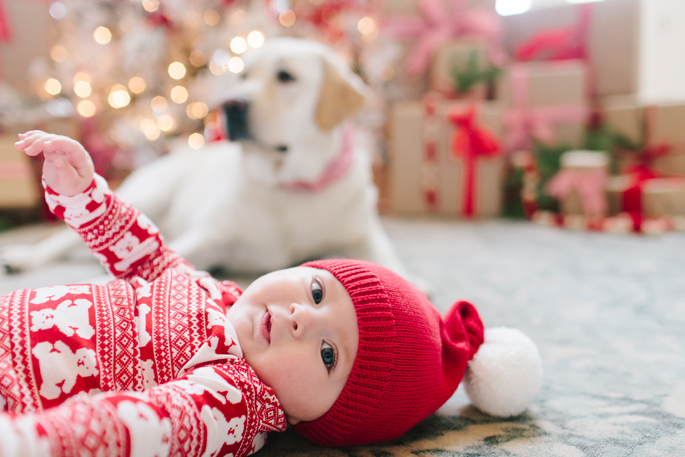 Your baby is so adorable. I pray that you and your husband will always be happy. God bless! Thanks for sharing your wonderful pictures. Thank you so much Karen! That’s so sweet of you to say!